The Rotunda is a unique museum in the town of Scarborough, North Yorkshire, which houses a collection of fossils and rock samples gathered by William Smith – “the father of English geology”. It underwent modernisation in 2008 to enable it to display the collection to its best advantage. The original round tower was constructed in 1828 and opened a year later as the town’s museum, at the behest of the newly-formed Scarborough Philosophical Society. 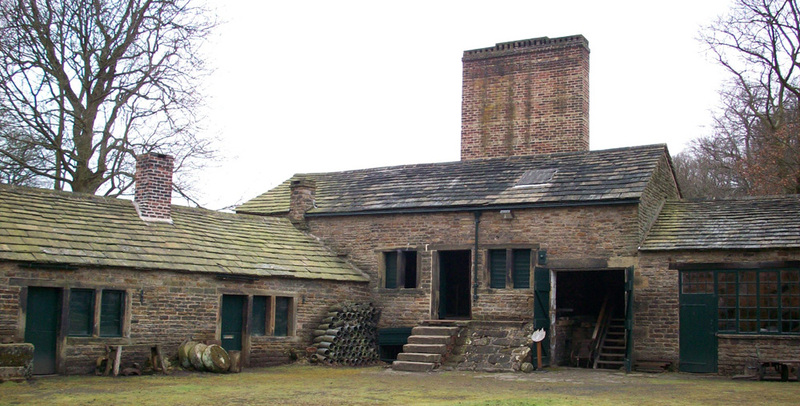 Stone for the building was provided by Sir John Johnstone of Hackness Hall, who employed Smith as his land agent. William Smith was born in 1769. As a young man he was appointed surveyor’s assistant and helped to map out the route of the Bridgewater coal canal. As part of his work he was involved in creating deep cuttings for the canal to flow through. He took great notice of the exposed rock sections that were created during the works and began to notice regular sequences in the layers. He noticed that each layer had its own distinct fossils and began to theorise that his observations could be used to predict the presence of coal or ironstone. In 1799 Smith produced the first ever geological map, showing distribution of rocks in the area of Bath (Avon) that was based on his discoveries while working as a canal surveyor. It was called “the map that changed the world” but in spite of his success Smith was not a wealthy man and he was bankrupted. He sold his collection of fossils to the government to clear his debts and moved to Scarborough in 1824 where he began work for Lord Derwent at Hackness Hall. As Smith’s success grew in the North and the Scarborough Philosophical Society’s collection increased the Rotunda was also extended to accommodate new finds. Wings were added to the original building in 1860 and it became the home of examples of local geology, archaeology and history as well as significant items from overseas. Over the years the geological samples were scattered to other museums but they have been brought back together following the museum’s refit. In 1792 a plan was launched to build a canal near Ashby de La Zouch, although the cut never actually reached the town. In 1800 the local land was enclosed and the mineral rights granted to Francis Rawdon Hastings, 2nd Earl Moira. Four years later he sank the first coal mine on his land and built a lime kiln. Work began on constructing a blast furnace. The combination was the ideal way of using all the local minerals, ironstone, limestone and coal. However, the furnace was never a success and worked for only a total of a few months before being finally closed in 1811 after a disastrous fire that reached temperatures high enough to melt the brickwork. The associated iron foundry was a huge success on the other hand and remained in operation producing smallware until the 1850s. The lime kilns were also a commercial success, producing quicklime for the building industry and agriculture until the 1850s. Coal mining continued in the area until the 1980s. Moira had a brief spell as a spa in 1812 when it was decided to exploit the salt water from down the mines but the site proved unpopular so the water was later shipped to the Ivanhoe Baths in Ashby by canal and tramway. 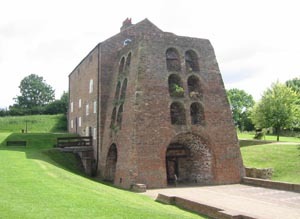 Moira Furnace is now a listed building and preserved as a museum at the centre of a heritage park in the National Forest. 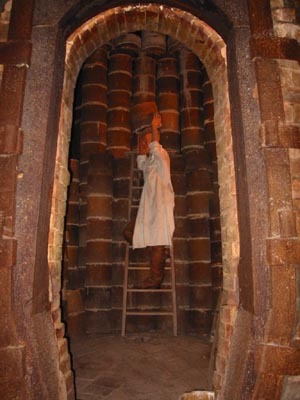 Gladstone Pottery Museum is in Stoke on Trent, housed in a former pottery works and featuring some of the town’s few remaining bottle ovens. The factory was originally built in the late 18th century after the sale of the old Longton Manor Estate allowed potters to expand out of neighbouring Burslem – the centre of the pottery industry at the time. Local family the Shelleys took over a site adjoining the new turnpike road to Uttoxeter and the present day museum is on part of that site. As well as producing their own earthenware the Shelleys carried out contract work for Josiah Wedgwood’s Etruria factory. By 1789, however, their business was in trouble and the site was bought out by William Ward. He split the area into small plots where a number of potters could work alongside each other. 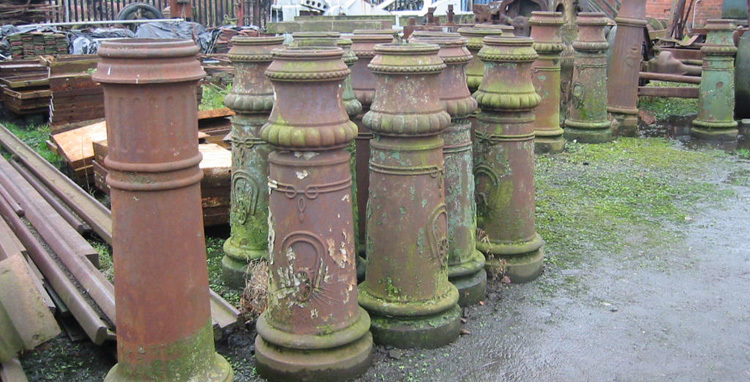 The whole was sold in 1818 to John Hendley Sheridan who let out the site to tenant potters. He also erected new kilns. One of the tenants was Thomas Cooper who in turn employed other potters and by 1851 he had 41 adults and 26 children working for him. In 1853 he bought the master’s house and began developing the rest of the site. In 1876 the site was sold on to Hobson and Co who renamed it after the Victorian politician who had visited the Potteries in 1863 to lay the foundation stone of the Wedgwood Memorial Institute. The site later passed into the hands of Procter, Mayer and Wooley and eventually, in 1939 became Gladstone China (Longton) Ltd.
Mixed fortunes saw the site closed during world war two and in various hands until 1960 when the kilns were closed down. Decorating and packing continued on the site until 1970 when the site was again put on the market. 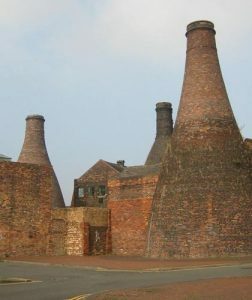 By that time it was already realised that much of the Potteries heritage had been lost and that an intact factory needed to be preserved. It was one of a number of sites considered for development as a museum. The Staffordshire Pottery Industry Preservation trust was formed in September 1971 and later the Gladstone Pottery Development Trust was set up to raise funds for the scheme. Phase 1 was officially opened in April 1975. Crich Tramway Village in Derbyshire is a working museum where it is possible to ride round on trams all day and see a slice of life in “the olden days”. Although there is no specific date given at the museum some visitors can remember catching trams to go to work when they were young. That probably puts it around 45 to 50 years ago. The village is quite small by comparison with others of its type (Black Country Living Museum, Blists Hill, for example) but it has a few fascinating details to discover as well as having an authentic “bygone” atmosphere with its tiled Red Lion pub, cobbled streets and enamel advertising signs. One nice touch is that visitors are given an old penny with which to buy an all-day ticket to ride on the trams. The Tramway Museum Society has also rescued a few buildings, notably the old Derby Assembly Rooms, which once stood on a city square but now grace the Town End tram terminus that marks the start of many of the rides. Other structures rescued from around the country include a number of old Birmingham tram shelters, a horse trough and a drinking fountain. There are workshops where the tram enthusiasts repair and restore the old machines or just haul them in for a wash when they start to look grubby from their trips up and down the hill. Even if antique transport is not for you there is still plenty to see with an old mine at the other end of the tramlines as well as a woodland walk and sculpture trail. The museum has an exhibition “Tracks in Time” with a reconstructed street scene that has plenty of historic information hidden among the replica shop fronts. 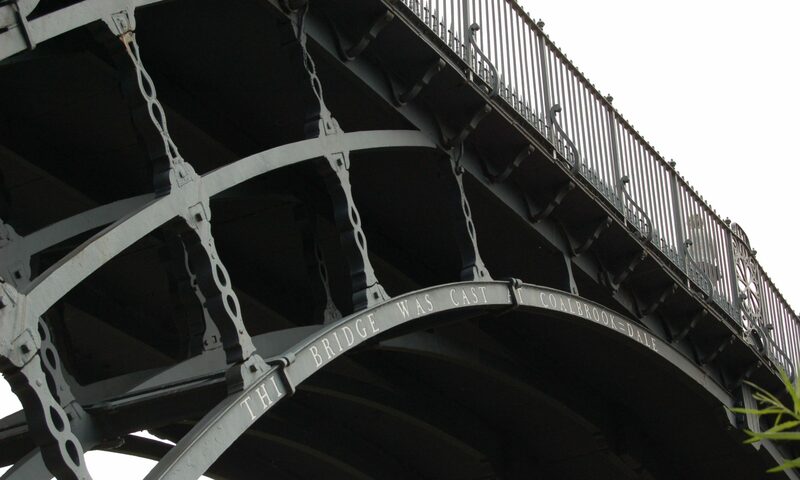 Near the centre of the site is a reconstructed 1844 cast iron bridge that used to stand on the Bowes-Lyon estate at Stagenhoe Park at Ware in Hertfordshire. Avoncroft is a collection of old buildings that have been rescued from demolition and decay then transported to a site near Bromsgrove in Worcestershire. 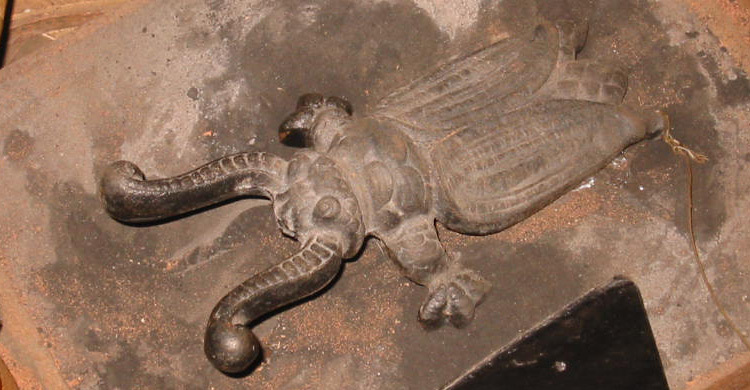 It contains structures from all over the West Midlands and from seven centuries. There’s housing, agricultural and industrial buildings, a toll office, chapel, windmill, 1940s prefab and even a fibreglass church spire. 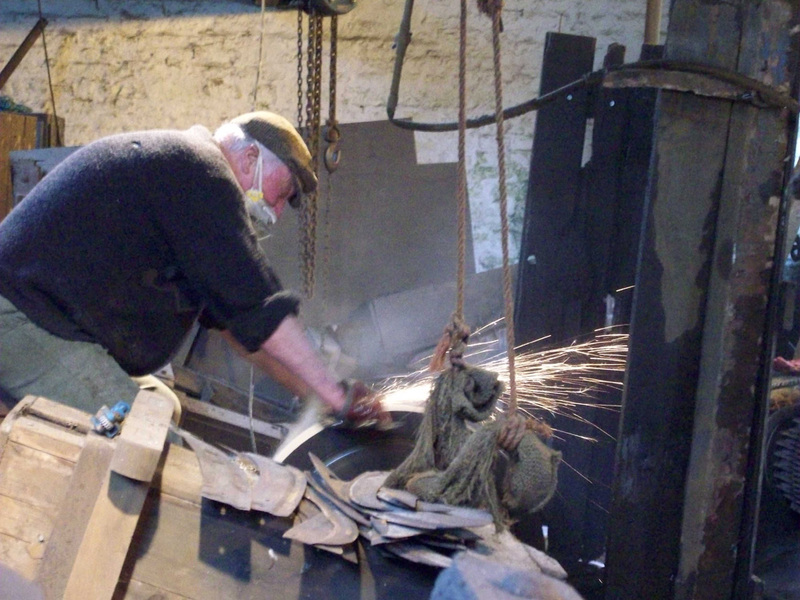 Working life is represented with workshops from Black Country chain making and nail making. These are not the huge manufacturing units of the late Industrial Revolution but the small, household workshops where every member of the family was expected to contribute to the work – including women and children. The Museum was founded in 1964 following an unsuccessful attempt to preserve a listed Tudor house in Bromsgrove from demolition. Campaigners managed to save only the timbers but the Merchant’s House became the first exhibit to be restored and reconstructed on site. 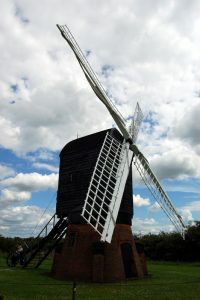 As well as buildings it is possible to see old skills and industries recreated at the museum. There are also regular costumed re-enactment days. And for the communications enthusiast the museum houses the national collection of telephone boxes – including a Tardis!